Director Kim Jo Gwang-soo added an entry to the small-but-growing category of Korean queer cinema with his short film Boy Meets Boy, starring rising pretty-boy actor Kim Hye-sung. He is following that with his second film, Friends? [친구사이? ], which isn’t quite feature-length but clocks in as a mid-length film at 50 minutes. Boy‘s success means that Friends? was able to command more of a budget and shooting schedule than its predecessor (which was shot over a weekend). It recently wrapped filming and now enters post-production. Movieweek: Because it’s a queer film, did you hesitate over deciding to appear in it? From Boy Meets Boy to Friends? Interesting, I just found out about Boy Meets Boy yesterday actually. This really is a coincidence. I wasn't sure if I wanted to watch it or not.. But now I think I might. And if I like it, maybe I'll watch Friends? lol i feel like such a byunt. btw, anyone know where i can watch this? and boy meets boy? was it really necessary to put so many pictures of guys kissing? I dont think those types of pictures should appear on this site. it will turn off many readers. Most of the time, if people see girls and girls kissing, they find very ..ugggh.. how to put it nicely .. "entertaining" or not a big deal. But, if boys and boys kissing, .. so gross! :-). In addition, it doesn't matter to me..
@ 5 irrashional: If two kissing get on our nerves, don't come, your are the only one to find this "not necessary". Anyway... I liked Boy Meets Boy and I'm happy the movie had great reviews, I will wait for this one impatiently. ...What exactly is the issue you have? The pictures are really sweet. 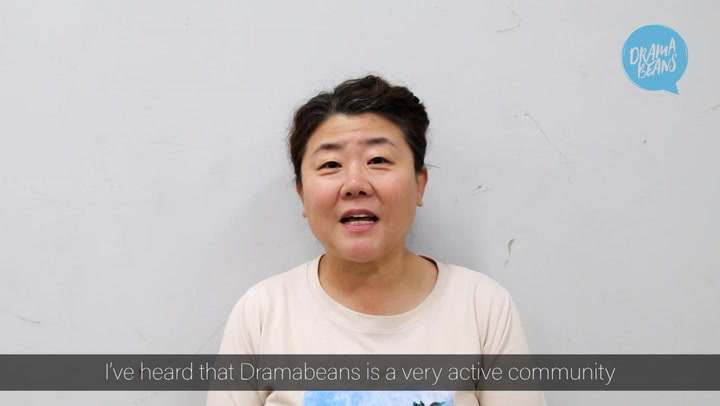 Are you saying that javabeans should censor the site to conform to your biased view? Woooo! Go queer Korean films! This looks like a sweet coupling. @ irrashional -- if it keeps homophobics away, great! this one looks good! i'm definitely looking forward to it. does anyone know when it'll be released? Ignore irrashional (#5). I find the pictures quite sweet. As I am sure most open minded people would. I agree with 'irrational' - something not quite right, with increasingly many such Korean movies. Young adults can be impressionable. I dont mean to be rude to #21 but being "impressionable" has nothing to do with being gay. You either are or your not. And there is nothing "wrong" with it. i dont think its very polite to say that there's something wrong with this and that young adults might get influenced... its not exaclty a movie promoting addictions or substance abuse..
the boys are so cute looking though! JB could not have given a better indicator as to the content of this piece, with that header. As stated by Yssa only a single picture and short outline, but as you used plural this shows your curiosity got the better of you then felt uncomfortable enough to complain. Please censor your clicking finger as its actions are making you unhappy. Cute interview with the two young actors. I watched Frozen Flower in its entirety so I guess I'll watch this. Plus, the stills are really cute. LOL. The pics are cute, this seems like an interesting film. Oh honestly, is it so hard to ignore ignorant comments? Seriously guys, you don't need to fight here. ….lol…I couldn’t stop laughing…I don’t know why …yea they are cute and I think the movie isn’t that bad coz basically its reality, things like this happens in real life. They’re just making us be more aware in a mild and understandable manner and the best of course, making it into a movie. Actually I’m hoping that the actors playing could get something out of it an award perhaps? this look kind of gay to me..is it rated? The picts make is really clear about the movie content. I think that's what JB does best. Thanks. On another note... This kind of well-done (I hope) movie gives me an insight into the gay life/culture. And helps me be less unsettled around the increased exposure out in the world. I hope not the same as desensitizing the population. OMG - I still talk to people's facial piercings until I don't see them anymore !! It's jb's blog so she can post whatever she pleases. If you don't like it one click of the mouse takes you away! The director is giving us a glimpse into his past. Everyone has a story to tell about how they first fell in love and first relationships. This is just one variation of a common tale. these picture actually looks sweet and tender...it gives you this pure feeling of love between two people...and homosexuality has been going on for a long time now it's just that now it's getting more exposure and people are being more and more open about these kinds of things. can anyone explain to me what queer film is? i have never heard of that phrase be used until now. i'm not sure if it's supposed to mean gay or different from mainstream or something. "It’s jb’s blog so she can post whatever she pleases. If you don’t like it one click of the mouse takes you away!" I never said she couldn't post whatever she wanted. However, the picture of two boys kissing is on the MAIN page, unavoidable and forced upon every visitor to the site. If it was a picture of two schoolGIRLS kissing. then people might think it was gratuitous and unnecessary, but because it's boys, some think it's "cute". I think it turns off readers to this site. that's all i'm saying. When it's two self-proclaimed straight boys kissing (i.e. Suju idol boys onstage), the response is usually quite cheerful. If the mere context that this is a queer film turns people off, what does that say about the reader? I don't think the problem lies with the images themselves.
" the picture of two boys kissing is on the MAIN page, unavoidable and forced upon every visitor to the site... I think it turns off readers to this site." Thanks for your concern about my site, but I'll take my chances. I think these photos are so cute. It's a really sweet short film, the kiss and bed scenes were done tastefully. I think Lee Je-hoon is so cute!! BIG BIG kudos to you for keeping us so well-informed on so many different genres of Korean films and dramas. I get so much great information (not to mention hours of happy entertainment) from your blog. I shudder to think at how many wonderful programs I might have missed out on if not for you. You are awesome! I just love a good story. I don't care if it's boy/girl, girl/girl, or boy/boy. Love is love. If the script is good, the directing is sharp, and there's mad chemistry between the main characters, what else matters? I thought Boy Meets Boy was gorgeous (weird singing Cupid, not sure what that was all about though, ;-) ). I"m looking forward to seeing this film as well. "If it was a picture of two schoolGIRLS kissing. then people might think it was gratuitous and unnecessary, but because it’s boys, some think it’s “cute”. I think it turns off readers to this site. that’s all i’m saying." I SAID: two pretty guys kissing.... no big deal...but two guys who look really macho/manly, that'll make me think..."?????" and, lastly, we are definitely going to watch this! Javabeans, although I am almost sure these pictures were not posted to make a statement but rather as part of your blog entry I still give you props for not caring what people (irrashional) might think of this and just posting them anyway. Wow...Korea has really changed haven't they. it looks like one of the actor is a different one from the last post, "From Boy Meets Boy to Friends?" about this film. the other was Hong Jong-hyun so it looks like he's not in it any more. I saw Boy Meets Boy at NewFest, the lgbt film festival in NYC, and thought it was quite wonderful and very moving. Good to see more queer film coming out of Korea. Seo Ji-hoo reminds me of gong yoo. I'd be quite happy if it were a movie about two women in love, and if there were a picture of two girls kissing, I'd think it was sweet. I don't think there would be anything gratuitous or "unnecessary" about it. Oh no, but maybe my opinion doesn't matter because I'm actually a lesbian and not one of the raging homophobes lurking on the internet. "I just love a good story. I don’t care if it’s boy/girl, girl/girl, or boy/boy. Love is love. If the script is good, the directing is sharp, and there’s mad chemistry between the main characters, what else matters?" Keep it up. You're amazing. Hehe, I just thought that kiss looks awkward. I guess it's that I've never seen a good Korean movie/drama kiss before. Boy/girl, boy/boy, girl/girl, none whatsoever. I don't expect it to be steamy, but maybe at least act like they enjoy it and not repulse by it. The second picture on the bottom looks sweet though.